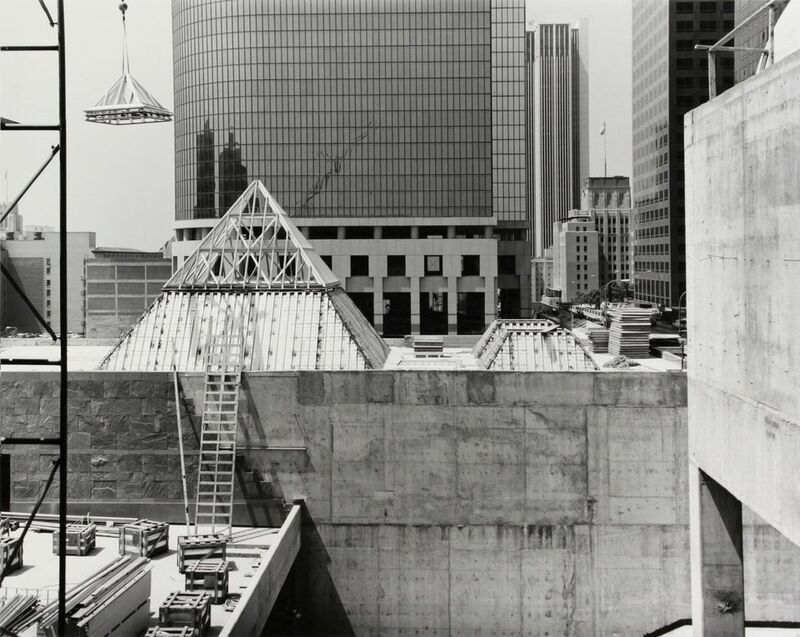 In 1986, Chris Burden made his now-canonical installation Exposing the Foundation of the Museum: three trenches dug beside the exterior wall of the Museum of Contemporary Art (Moca), Los Angeles, into which viewers could descend to inspect the building’s concrete footing. The holes were actually dug beneath the Temporary Contemporary, now an annex of Moca (which was renamed Geffen Contemporary in 1996 after a gift from the Hollywood producer David Geffen). Originally, the former police vehicle depot was intended as an interim measure between the founding of Moca in 1979 and the opening of its main building seven years later. The Geffen remains a cornerstone of Moca’s identity, which is celebrating its 40th anniversary this year with a series of collection-centred exhibitions, beginning with a multimedia archival display titled 40 for LA. Forty years is a long time—especially in a relatively young city like Los Angeles—but in many ways Moca feels like an institution whose identity is still being worked out. The exhibition seeks to help by telling the story of the museum—perhaps with a sly wink to Burden—through “the concrete things that provide the institution with its identity”, says Bryan Barcena, who is curating the show with Amanda Hunt. Whatever ructions might have in the past emerged within the board or the staff, he says, four things have remained essential to Moca, each of which will occupy a wall in the exhibition. The first aspect is its venues: the Geffen Contemporary, which was one of the first industrial buildings repurposed as an art space under the guidance of Frank Gehry, and the red sandstone building on Grand Avenue, designed by Arata Isozaki, who won this year’s Pritzker Architecture Prize. The next is the museum’s impressive exhibition programme, which will be represented by a timeline stretching from 1983 to 2019 highlighting influential Moca exhibitions, such as Paul Schimmel’s Helter Skelter in 1992 and Connie Butler’s 2007 show WACK! Art and the Feminist Revolution. Another wall will be devoted to the founders of the museum while, finally, every artist whose work is in Moca’s collection or who has had a solo show at the museum will be acknowledged. “Moca existed before LA was considered a hot place for art,” Barcena says. It deserves credit for its contribution to the city’s current artistic success.